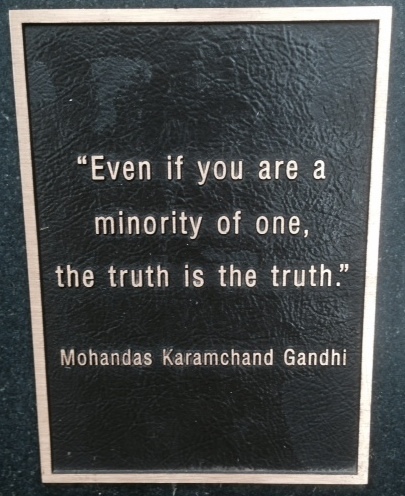 During a visit with family in Bellevue Washington, we found this sculpture on the grounds of the public library. Here stands a a life-size bronze sculpture of Mahatma Gandi, the political and spiritual leader from India. Gifted by the government of India to Bellevue, the sculpture is striking with a staff in his right hand and sandals on his feet with eyes that seem to penetrate through you. 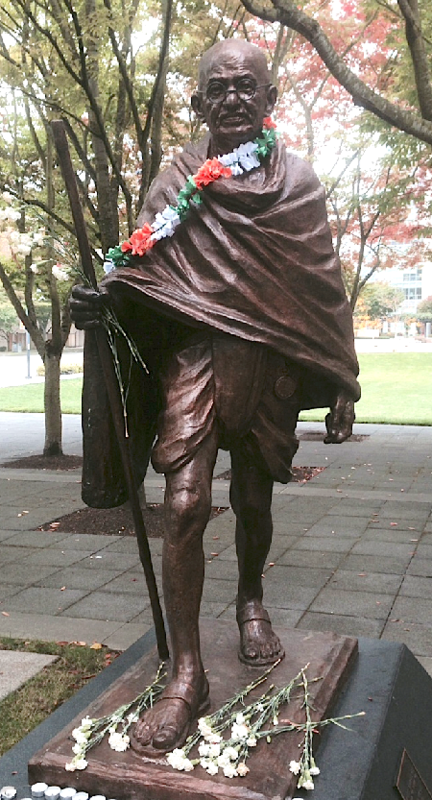 I took this picture a few days after the birthday of Gandhi, born October 2, 1869. One of the most inspiring figures of our time, I could not help but stand in awe while reflecting on the impact his life and accomplishments. For me, his determination to go against the odds and stand on principle stirs a deep passion to respect and cherish freedom. His life story has proven that it’s possible to remain gentle in spirit, yet simultaneously command a huge amount of strength and respect.